If you get to the stage where you are deploying your application on a very frequent basis and you are relying on automated tests for the bulk of your quality assurance then a mechanism to alert you when things go wrong in production is essential. There are many excellent tools that can help with this however anyone working working with ASP.NET websites (such as the one used in this blog series) and who has access to Azure can get going very quickly using Application Insights. I should qualify that by saying that whilst it is possible to get up-and-running very quickly with Application Insights there is a bit more work to do to make Application Insights a useful part of a continuous delivery pipeline. 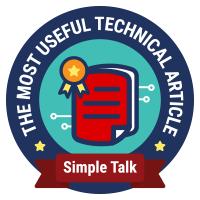 In this post in my blog series on Continuous Delivery with TFS / VSTS we take a look at doing just that! My aim in this post is to get telemetry from the Contoso University sample ASP.NET application running a) on my developer workstation, b) in the DAT environment and c) in the DQA environment. I'm not bothering with the PRD environment as it's essentially the same as DQA. (If you haven't been following along with this series please see this post for an explanation of the environments in my pipeline.) I also want to configure my web servers running IIS to send server telemetry to Azure. 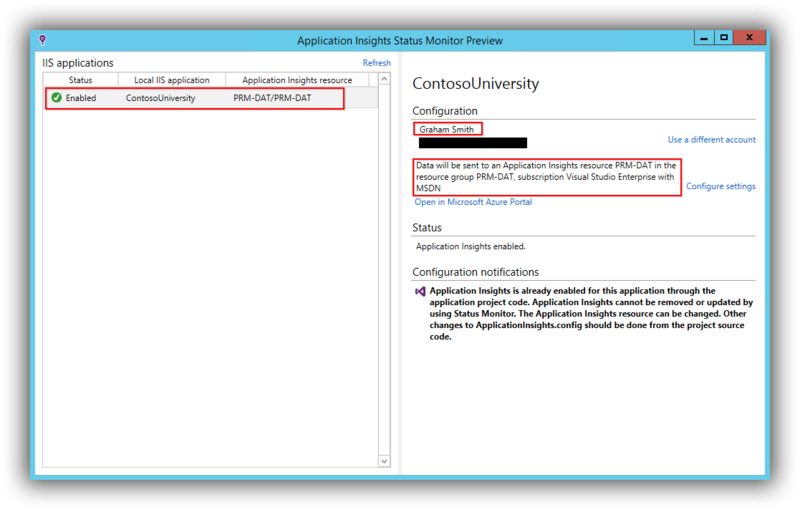 You can then run Contoso University and see telemetry appear in both Visual Studio and the Azure portal. There is a wealth of information available so do explore the links to understand the extent. Remove or comment out the InstrumentationKey section in ApplicationInsights.config. As a final step run the application to ensure that Application Insights is still working. The code that accompanies this post can be downloaded from my GitHub account here. The value for InstrumentationKey can be copied from the Azure portal. 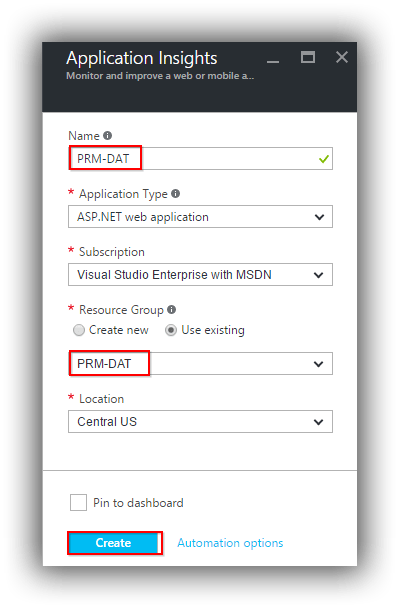 Navigate to Application Insights and then to the resource (PRM-DAT in the above screenshot) and then Configure > Properties where Instrumentation Key is to be found. The preceding process should be repeated for the DQA environment. 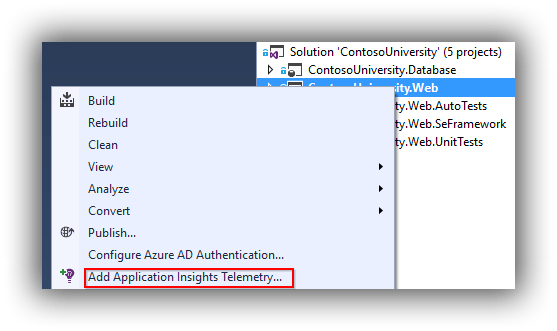 Check in the code changes so that a build and release are triggered and then check that the Application Insights resources in the Azure portal are displaying telemetry. 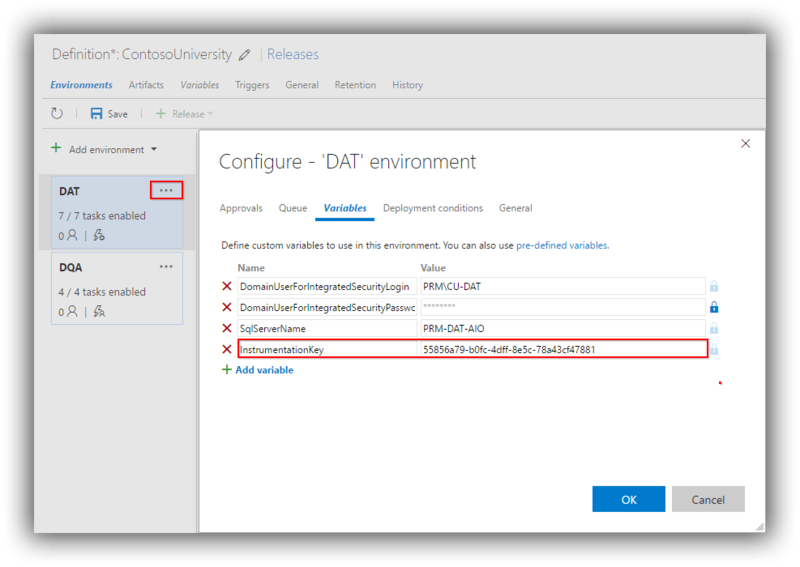 Release Annotations is an extension for VSTS or TFS 2015.2 and later and needs to be installed from the marketplace via this page. I installed it for my VSTS account. 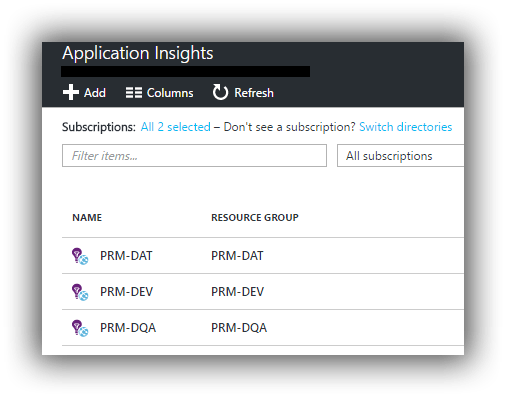 In a separate browser window, navigate to the Application Insights resource for that environment in the Azure portal and then to the API Access section. You should now copy the Application ID value hand API key value (both highlighted in the screenshot above) to the respective text boxes in the browser window where the release definition environment variables window should still be open. After marking the ApiKey as a secret with the padlock icon this window can now be closed. Clicking the icon opens the Release Properties window which displays rich details about the release. On the web servers running IIS download and install Status Monitor. Sign in to your Azure account in the configuration dialog. 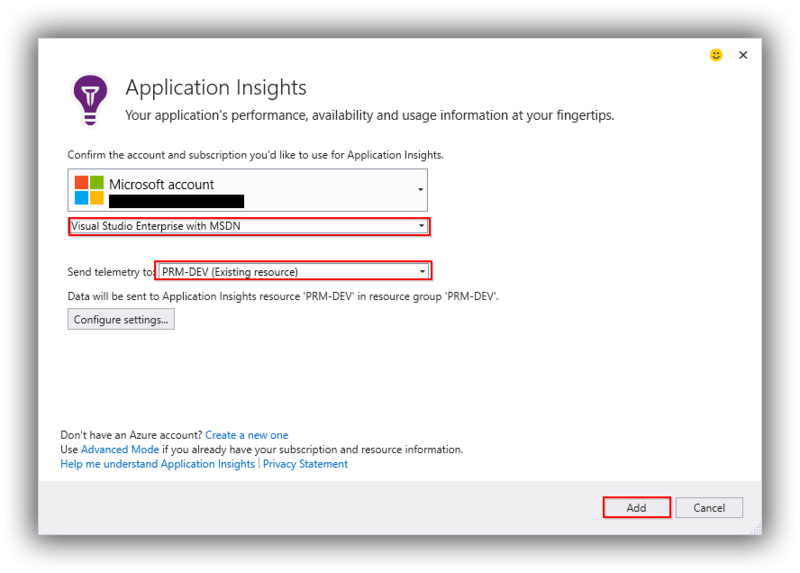 Use Configure settings to choose the correct Application Insights resource. Add the domain account the website is running under (via the application pool) to the Performance Monitor Users local security group. See this documentation page to learn about the extra telemetry that will appear. This list however doesn't include the huge number of options for configuring Application Insights itself. There's enough to keep anyone interested in this sort of thing busy for weeks. The documentation is a great starting point -- check out the sidebar here.